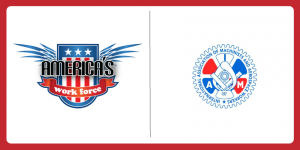 Mark Gruenberg, former general president of the International Association of Machinists and Aerospace Workers spoke to America’s Work Force on April 23 about the benefits of using union workers. Gruenberg first spoke about Machinists Local 912 and their unanimous strike authorization vote at General Electric. He said that G.E. began to resent the unions for sticking together to bargain for their own rights and protections and that he was proud of the union for not letting the corporation walk all over them. Gruenberg then talked about Boeing in North Carolina remaining non-union but are bringing in International Association of Machinists and Aerospace Workers to show their employees the proper way to build, repair and maintain the 737 jets. Boeing continues to bring in union members to show their employees how to do the work, but won’t hire the union workers for full-time work. He mentioned that clearly, Boeing recognizes the quality of training and experience these union members have, but still won’t agree that hiring union is beneficial to the company. AWF host Ed “Flash” Ferenc discussed the Stop N Shop strike, which ended this week, after union members and customers showed incredible solidarity and stood up for their own rights and protections against a big company. Tom Patton and BF Nagy were featured as guests on America’s Work Force Radio. 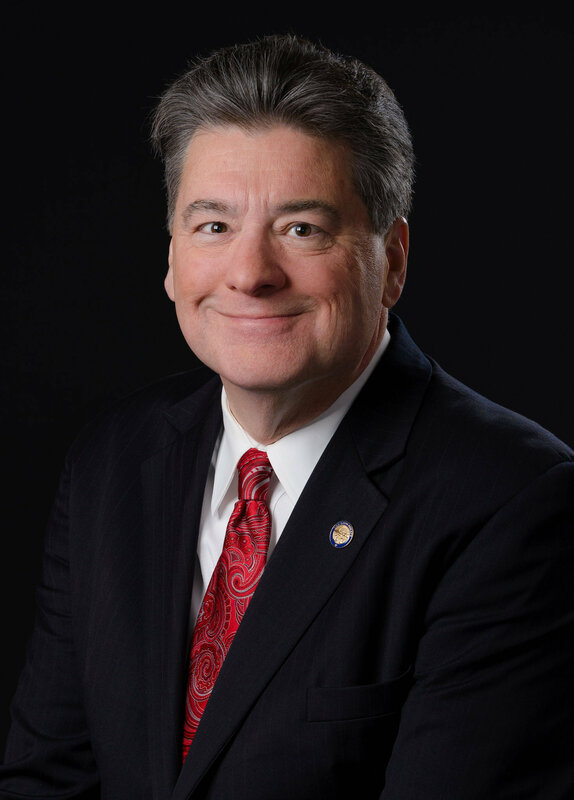 On Oct. 15, Tom Patton, state representative for Ohio was featured on the show to discuss Issue 1 in Ohio and clarify the good and the bad about it. He also talks about bringing in more younger people into the trades. When speaking about Issue 1, Patton stressed how important it is to help people get drug treatment rather than incarcerating them, especially if they are non-violent, young, and clearly are in need of help. It is much cheaper to the tax payers to have someone receive drug treatment rather than incarcerating them and not even helping fix their addiction. The second topic that Patton discusses is bringing more attention to the trades and apprenticeships. He talks about the benefits and opportunities that come with apprenticeships and how they should be advertised more so students who are uninterested in college or have trades-related skills know there are options for them out there. 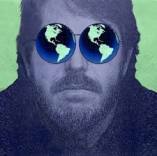 Bruce Nagy is an author on many pieces that talk about clean energy and green technology. One thing that Nagy was talking about was how trades are beginning to go green by using cleaner energy sources. Nagy also talks about the higher acceptance of electric powered vehicles and how there is a higher demand for them. The last thing that he discussed during his time on the show is Brad Pitt financing the design and rebuilding of storm-resistant and affordable homes in New Orleans after Katrina hit. Show host Ed “Flash” Ferenc also discussed the upcoming clean energy age, the Climate Reality Project, unions needing more people to get involved, and how the economy has fluctuated during President Trump’s first 18 months in office. On the show today we had two guests, Jimmy Cullen and Mary Jane Trapp. Our first guest was Jimmy Cullen and we discussed his writing called “Mean Drunk Justice” and the Kavanaugh case. One major thing that Cullen discussed with us was how Justice Kavanaugh has a problem with telling the truth under oath and how it will affect him on the Supreme Court. Having someone that has trouble keeping their facts straight under oath on the Supreme Court is a little unnerving. He then goes on to talk about the administrations manipulation of the FBI during the Kavanaugh case, and finishes his time on the show talking about President Trump trying to frame the Democrats for everything that goes wrong or against him and seems to be trying to scare voters into voting Republican so that the Democrats do not “take away” our rights. Our second guest on the show today was Mary Jane Trapp, and she came on the show to talk about different cases with us. She talks about the Cincinnati Enquirer Case, State vs. Vega (2018) , and ONU vs Charles Construction Services. With the State vs. Vega (2018) Case, Trapp explains what would give a police officer probable cause to search your car without a warrant during a traffic stop. With ONU vs. Charles Construction Services, Trapp explains that faulty workmanship cannot be covered in a claim and that before you hire a contractor that you make sure to review everything that is and is not covered. She finishes her time on the show today by giving her two cents on the Kavanaugh case and how she believes that electing him has “eroded confidence in an ‘impartial’ system” and how judges are supposed to be neutral or indifferent to political parties but she fears Kavanaugh will always favor Republicans. Host of the show, Ed “Flash” Ferenc also discusses Cost of Living Adjustments, Consumer Price Index for the Elderly, the raised prices of stamps are a record nominal increase, and fighting the privatization of the postal service. 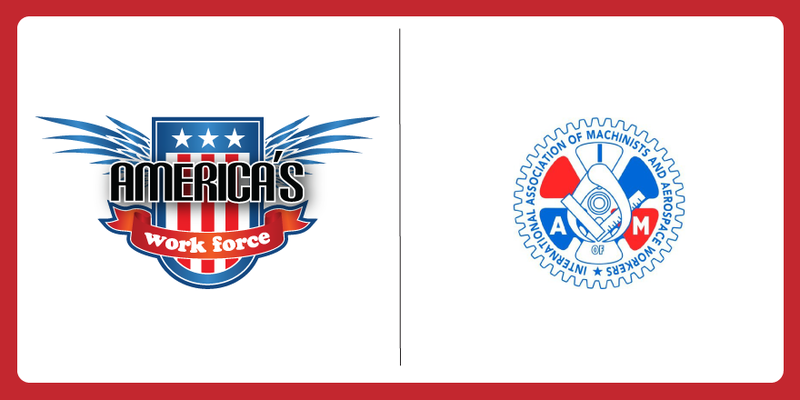 Josh Nassar from the United Auto Workers and Amy Hanauer from Policy Matters Ohio were featured on America’s Work Force Radio. On Oct. 11, Josh Nassar was the first featured guest on the show. He discussed Brett Kavanaugh and how he is worried about the possibility of abuse power that Justice Kavanaugh could potentially have. Nassar also discusses the push to make Union picketing illegal and current developments on the United States Mexico Canada Agreement (USMCA). The USMCA talks about giving workers the right to strike, the freedom of association, and the right to collective bargaining. One thing that people are unhappy about in the USMCA is that it does not do anything to keep call center jobs in the United States. Our second guest Amy Hanauer discusses drug addiction services and treatment over incarceration. She talks about how reducing the incarceration of drug users will increase the resources that could be spent on comprehensive drug treatment, rather than having the drug abuser sit in prison, not get any treatment, and come back out still with an addiction. Hanauer says that incarcerating these drug users is ruining their relationships, their chances of getting jobs once they come back out, and more importantly they are ruining their lives. By receiving drug treatment rather than being incarcerated, they could come back and become a productive member of society again, and it would be cheaper to tax payers. Ed “Flash” Ferenc also talk about Elon Musk and current problems over at the Tesla factory and its sweatshop conditions, the USMCA raising wages to $16 an hour in Mexico, and President Trump’s National Relation Board putting limits on picketing, possibly making it illegal in some areas, and also how Ohio voters are getting purged. On the show we had Jill Stein and Tom Germuska Jr. Jill Stein is a two-time presidential candidate from the Green Party and Tom Germuska is the editor for the Labor Citizen. On Oct. 10, Jill Stein was on the show to talk about the Brett Kavanaugh case. She said, “the Brett Kavanaugh debacle is a symptom of Democrat half-hearted fight against Republican interest.” She also discussed people showing more interest in other parties such as the Green Party. She concludes her her time on the show talking about Howie Hawkins running for Governor in New York. Howie is a Green Party candidate and pushes for worker rights and interests. She talks about how if Howie wins, it will pressure other states to consider Green Party candidates. Our second guest on the show was Tom Germuska Jr. from the Labor Citezen who spent his time talking about the content in the October edition of the magazine. Germuska also talked about early voting and some benefits that come with it, such as being about to sit down and read over all of your choices carefully and be able to make an educated vote. He also discussed getting the Cleveland and the Columbus Building Trades prepared for the midterm elections, updates on the Quicken Loans Arena project and how it will be done on time and on budget, and the importance of the Construction Trades Apprenticeship Fair and how it will open up people’s minds about the opportunities and potential for a good career that comes with working in the trades. Host Ed “Flash” Ferenc talked about Ford Motor Company saying they will have to layoff workers because Trumps’ tariffs made the company take about a $1 billion blow to profits and they will have to lay off around 12% of the company around the world! He also mentions members of Unite Here in Boston, San Francisco, and San Jose are striking against Marriott Hotels because of wages. The most profitable hotel chain in the world has workers who need to work more than one job to be able to provide for themselves and their families! Frank Mathews, Administrative Director to the Vice President with the Communications Workers of America was one of two featured guests on America’s Work Force Radio. On Oct. 9, Frank Mathews made an appearance on America’s Work Force and he talked about elections and voting, the United States Mexico Canada Agreement (new NAFTA), drug companies and drug prices, and airline workers most recent victory. Mathews discussed how on Oct. 9, it was last day to register to vote in Ohio and to go make sure that you are registered to vote, and if you think you are registered, go double check; the best way to make your voice heard is to vote! When talking about the USMCA, Mathews said that the USMCA did nothing to help the working person and it is not preventing jobs from being off-shored or outsourced. He also mentioned how it was going to work with drug companies to lower the drug prices, which never happened. To finish his time on the show, Mathews talks about a huge airline workers victory with getting an 8 hour rest time after flights. Little by little, day by day, the workers are gaining the rights they deserve. Our second guest was a frequent on the show, Dave Wondolowski. While on the show, Wondolowski also stressed the importance of registering and going out to vote. He talked briefly on Kelley & Ferraro and the benefits of the work that they do, the ECOT scandal and how money is being lost and how unfair it is to the families, and smear campaigns in the commercials right now during the Cordray and Dewine debates. Wondolowski also talked about how early voting is beneficial because it gives you the time to sit down, read things over, make an educated vote, and be able to properly fill out the ballot. To finish his time on the show, Wondolowski talked about what the building trades will be up to from now until November 6th, and construction jobs in Ohio are looking strong for the 4th quarter and are expecting to remain strong for the next 24 months! Show host Ed “Flash” Ferenc discussed how far the Cordray and Dewine smear campaigns are willing to go, the AFL-CIO being proactive and distributing informative leaflets, how important voting and registering to vote is, and teacher’s activism going on around the country right now! Dan Doron from the Ohio Consumer’s Counsel was one of two featured guests on America’s Work Force Radio. The first guest on the show was Dan Doron and he discussed possible scams that people could fall for involving their utility providers. Doron talks about scammers targeting older individuals, more creative scams that are being pulled on people, how to spot a scammer, and what to do if you happen to fall for a scam. He also discusses do not call lists, and the importance of reporting a scam if you do fall for one. Just because you fell for a scam does not mean someone else should too; report it so that people can learn from your mistakes. To end his time on the show, Doron talked about “vampire power”, and different ways on how to save nearly $100 on your electricity a year! Our second guest on the show was Fred Ross from IBEW 1245, and he talked about maintaining a strong relationship and open communication with members of your union. He talked about how staying transparent with your union will help maintain trust throughout the union, making sure everyone’s voices are heard, constantly improving your union, recruiting campaigns, the union difference, and how to keep members in the union, lowering the rate of people leaving the union. Our show’s host Ed “Flash” Ferenc discussed how a union can make a difference in your life, the Cordray and Dewine debates, and how a union in California is responding to the Janus decision. Dorsey Hagar from the Columbus Building and Construction Trades Council returns to be a featured guest on America’s Work Force Radio. On Oct. 5 Dorsey Hagar rejoins the show to talk about his latest trip to the Alberta Building Trades Conference and presenting there. While at the conference, he spoke about community benefit agreements, pre-apprenticeship programs, and lowering unemployment rates. Hagar also talked about starting a program called a Building Trades Pilot Boot camp, doing a trial run next year, where they will expose middle schoolers going into the 9th grade to the trades. They will host a week long class from 8-3 where they will let the students learn about all of the trades and work hands on with them to show them that there are more options after high school than just a four year university. The last thing he talked about on the show is a minority contractor outreach event. Our second guest on the show was Pema Levy, and she talked about Rachel Mitchell questioning Dr. Ford in the Brett Kavanaugh case. She talked about Mitchell being blasted for casting a doubt on Ford’s allegations against Kavanaugh and how people who have worked with Mitchell in the past are disappointed in how she went about this who entire thing. She was called disingenuous and inconsistent in her practices and was incredibly unprofessional by jumping to conclusions on the case. The show host Ed “Flash” Ferenc discussed the fight for $15 and what it means for Amazon employees. By raising the wages to $15 an hour, it may seem like a win for the workers, however, employees who already earned $15 an hour saying they are losing more than they are gaining. Because of the wage increase, workers are missing out on monthly bonuses and a chance to own Amazon’s skyrocketing stock because of this raise. On top of that, employees already earning $15 an hour are only going to be receiving an extra $1 per hour, so they are losing more than they are gaining out of this. We also talk about Bernie Sanders telling McDonald’s to follow in Amazon’s footsteps and raise minimum wage to $15 an hour. Finally, he talked about airline workers organizing. Great content today, make sure you give it a listen! Kevin Corrigan, the business manager at a law firm called Kelley & Ferraro, was one of two featured guests on America’s Work Force Radio. On Oct. 24th, Kevin Corrigan was featured on America’s Work Force to talk about asbestos related cancer. Kevin works for a law firm called Kelley & Ferraro and they deal with victims of asbestos related cancer, medical malpractice, workers compensation and wrongful deaths. Corrigan discussed how he and his partners travel with a mobile x-ray unit to union halls and do x-rays on workers who worked from 1979 and earlier for at least 5 years and find out if they have any asbestos related diseases and then are able to represent them if they would like if the tests come back positive. Corrigan has been doing these screenings since 2006 and his firm has been doing them since 2000! By having a mobile x-ray unit, they are able to travel to different union halls across the country and test their workers, which is incredibly convenient and timely. Rich DeChant with Tri-C Veterans Initiative, was our second guest on the show. He works in the veterans programs that are meant to help veterans get access to affordable education and workforce training programs, which allows them to transition successfully from military to civilian life. He also talks to hiring managers and discusses the benefits of hiring veterans and also how to fill in the gaps in their training. DeChant mentioned a live show in Cleveland called Modern Warrior Live, which is meant to bridge the gap between veteran and civilian communities. Show host Ed “Flash” Ferenc talked about the Janus decision, the Workplace Democracy Enhancement Act in New Jersey, problems with opting out of union contracts, and a boilermaker lockout while fighting against an anti-union contract proposal. Today’s show was fantastic with a lot of cool information and great stories! Undoing Janus Discussed on America’s Work Force. On our show today, we had Professor Aaron Tang, and Carolyn Lookabill. Professor Aaron Tang is an acting professor of law at the University of California School of Law and Carolyn Lookabill is Providence Healthcare Management Director of Assisted Living Operations. Our first guest, Professor Tang, talks about the Janus decision and how to fix their “free-rider” problem. Professor Tang is the author of How to Undo Janus: A User-Friendly Guide, and spends most of his time talking his publication and all of the ways that Janus could be neutralized. One of his main points was to have government employers reimburse union dues expenses directly, rather than having them deducted from union member paychecks. This plan could bring a small net increase to the workers as well. Our second guest was Carolyn Lookabill from Providence Home Healthcare, who provides management for senior living facilities. She spends her time talking about senior living, healthcare, and care-giving. One of the major problems faced with care-givers right now is that they do not know where to find the resources so that they can properly take care of somebody. She talks about how there is another great resource to use, besides the internet, which is by calling the number 211 and you can talk to a highly trained service professional to help you out. We also discuss the new NAFTA negotiations, now called United States-Mexico-Canada Agreement (USMCA), and how parts of it are aimed to help improve labor rules. We also talk about Amazon and the win for the fight for $15 minimum wage! Amazon, starting November 1, will increases minimum wage for all workers, seasonal and contract, to $15 an hour after employees pushing for it for so long! Another great win for the workers!